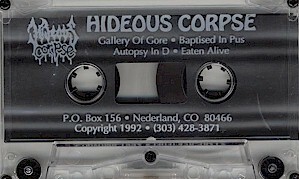 In 1990 Jeff Kahn met Erik Stenflo in Boulder Colorado and formed their first musical collaboration, Hideous Corpse. The pair quickly established a close partnership as song writers, delving into their shared taste for the brutality and the freedom of Grindcore and Death Metal. They shared a rare musical chemistry, and soon ignited a new vision of metal with a peculiarly psychedelic strain in the mix. In an inimitably ironic way they were trying to create music both based upon and avoiding their common influences. They released one demo in 1993. 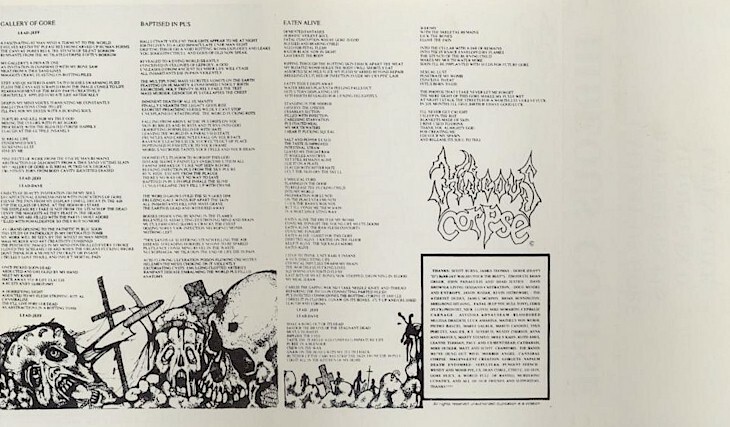 The developing palette of the young band soon outgrew the limited subtlety of the name Hideous Corpse and something more complex and original was to be in order. They found that the moniker Skeleton of God (conveniently appropriated from Jeff's one man noise project) fit the bill nicely. Force and fire power were soon multiplied with the additions of bassist Joel DiPietro (Exit-13) from Pennsylvania and Tim Fouch from Boulder as a second guitarist.